Authors: Fields, B.A., Guss, J.M., Freeman, H.C. 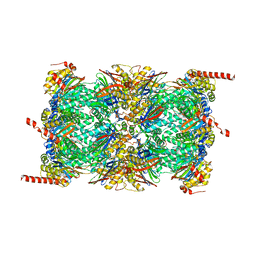 Cite: Accuracy and precision in protein crystal structure analysis: two independent refinements of the structure of poplar plastocyanin at 173 K.
Authors: Ota, N., Stroupe, C., Ferreira-Da-Silva, J.M.S., Shah, S.S., Mares-Guia, M., Brunger, A.T. 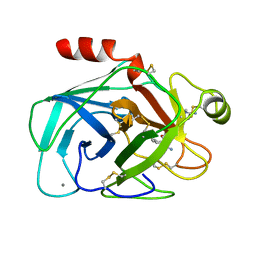 Cite: Non-Boltzmann thermodynamic integration (NBTI) for macromolecular systems: relative free energy of binding of trypsin to benzamidine and benzylamine. 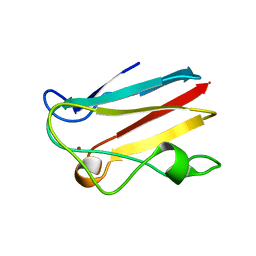 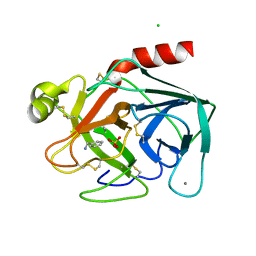 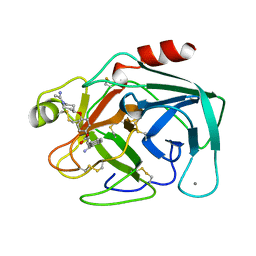 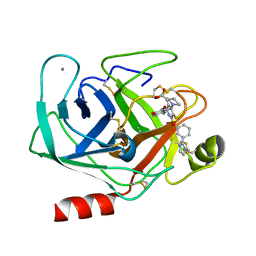 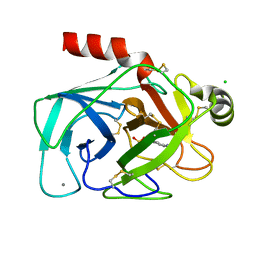 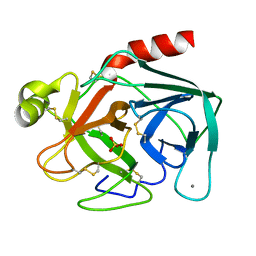 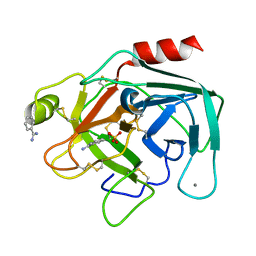 Cite: Crystal structures of factor Xa specific inhibitors in complex with trypsin: structural grounds for inhibition of factor Xa and selectivity against thrombin. 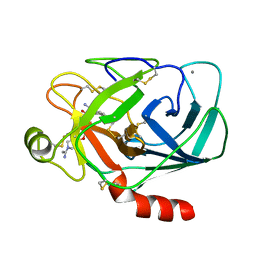 Authors: Bode, W., Turk, D.
Cite: Geometry of binding of the benzamidine- and arginine-based inhibitors N alpha-(2-naphthyl-sulphonyl-glycyl)-DL-p-amidinophenylalanyl-pipe ridine (NAPAP) and (2R,4R)-4-methyl-1-[N alpha-(3-methyl-1,2,3,4-tetrahydr quinolinesulphonyl)-L-arginyl]-2-piperidine carboxylic acid (MQPA) to human alpha-thrombin.X-ray crystallographic determination of the NAPAP-trypsin complex and modeling of NAPAP-thrombin and MQPA-thrombin. 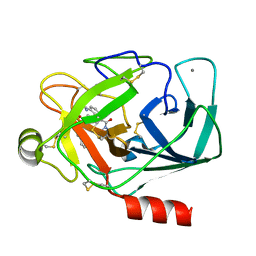 Cite: Crystallographic analysis of potent and selective factor Xa inhibitors complexed to bovine trypsin.